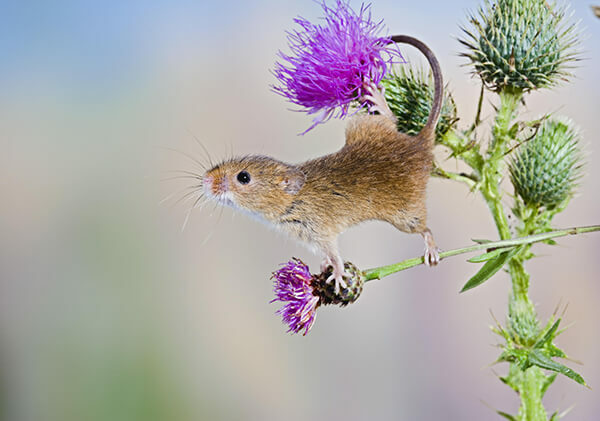 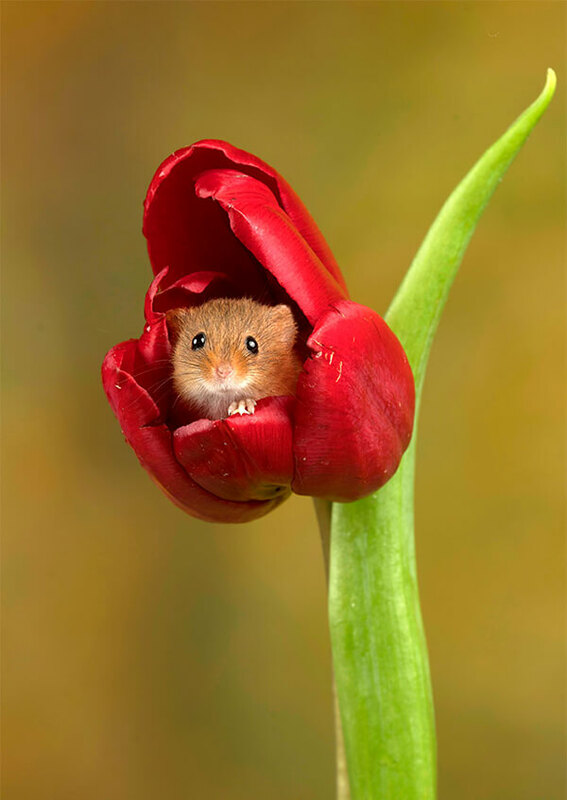 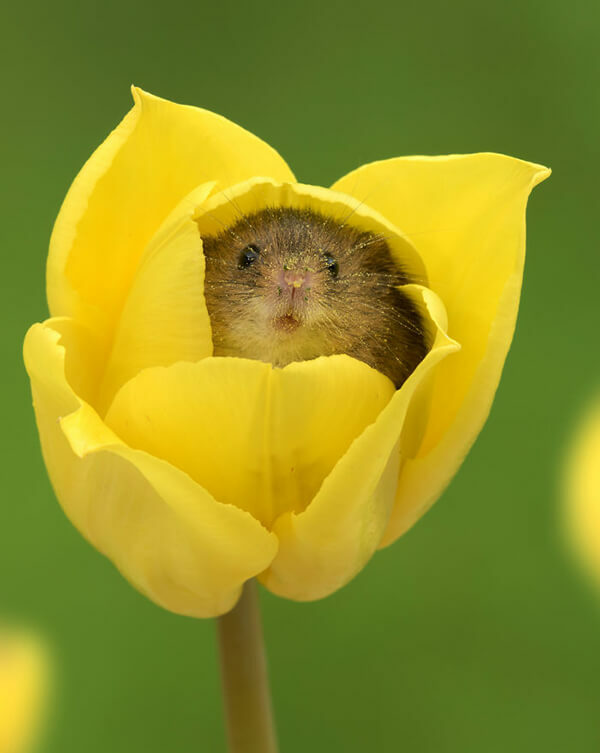 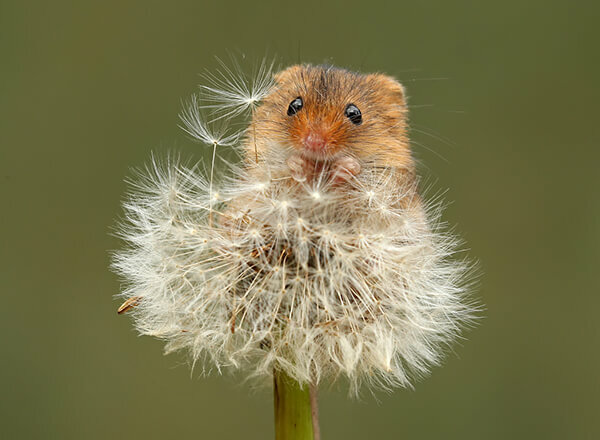 Harvest Mouse is a small rodent native to Europe and Asia. 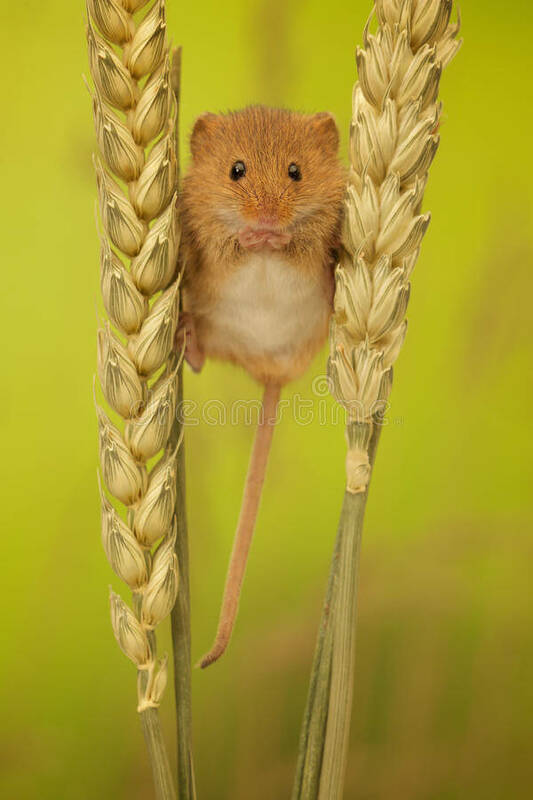 It is typically found in fields of cereal crops, such as wheat and oats, in reed beds and in other tall ground vegetation. 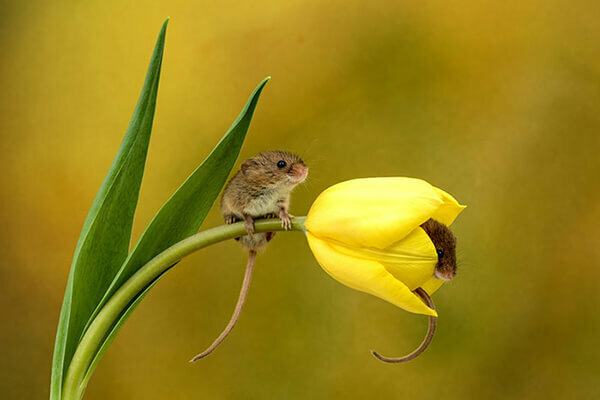 Interestingly, besides crops, these little cute creatures also be found loving flowers. 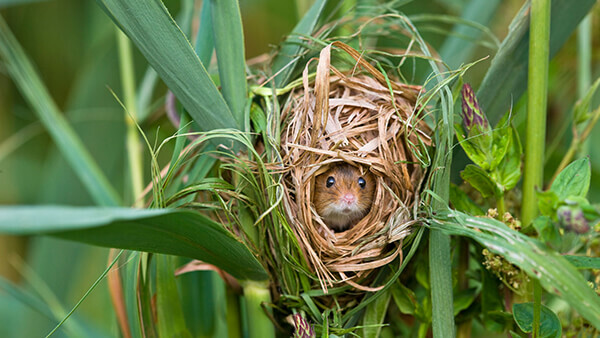 Don’t like their notorious relatives, they never enter into houses. 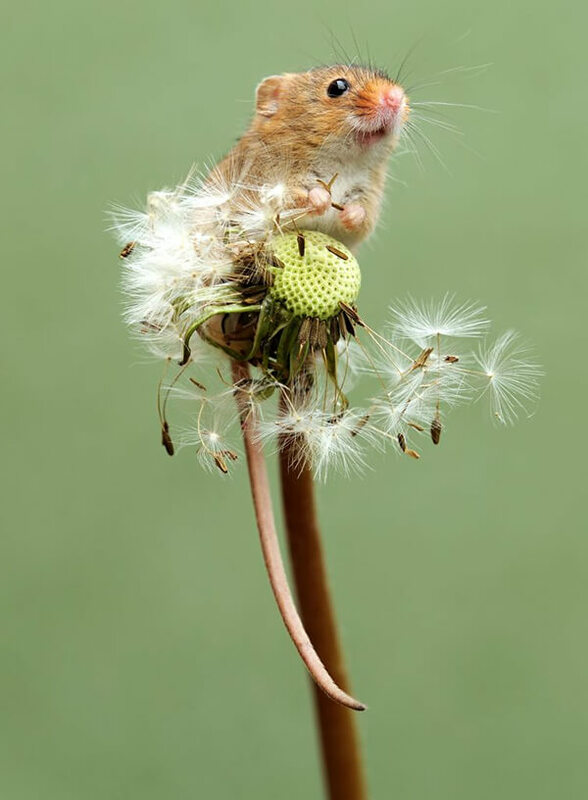 They eats chiefly seeds and insects, but also nectar and fruit. 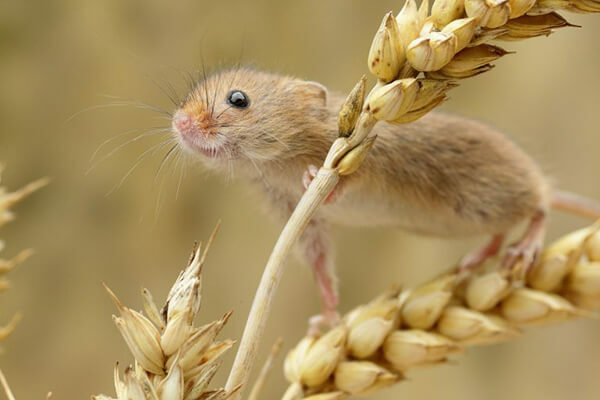 Ranging in size from 55 to 75 mm (2.2–3.0 in) long, this little guy has large eyes and ears, a small, blunt nose and soft and thick fur. 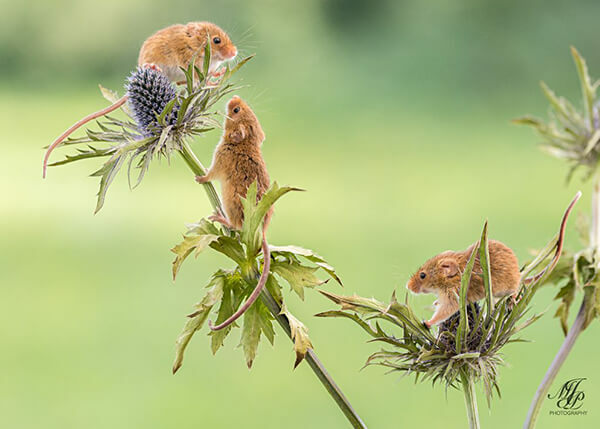 Since they are farily small, the little rodents are hard to find in the wild hence the most photos of them are captured in controlled envrioment. 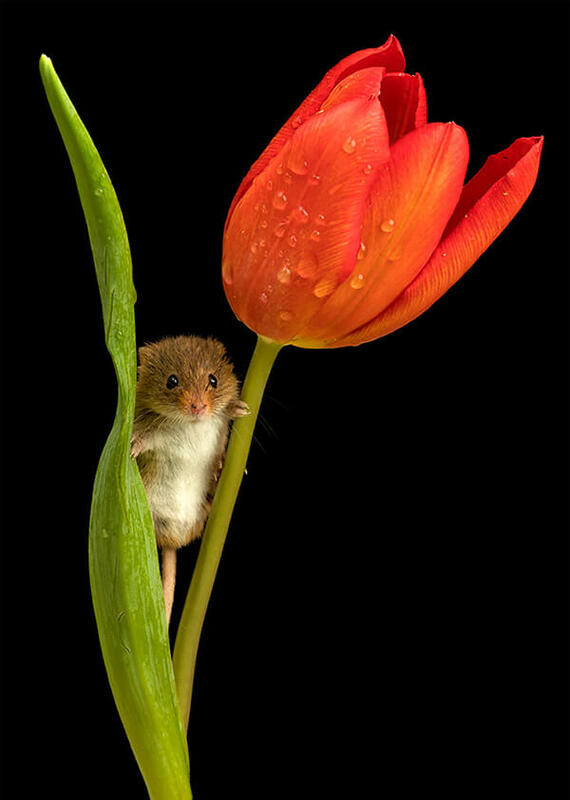 However, there are still some patient and lucky photographers get them in natural. 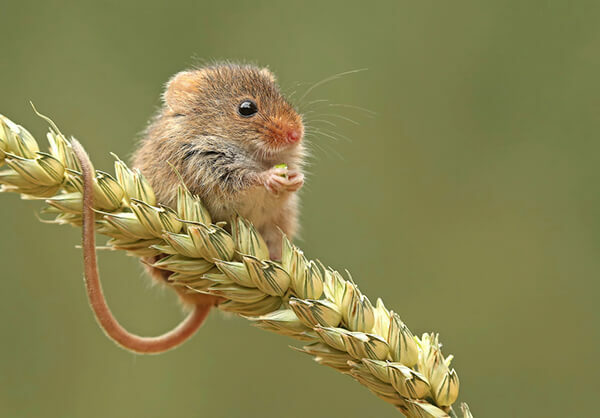 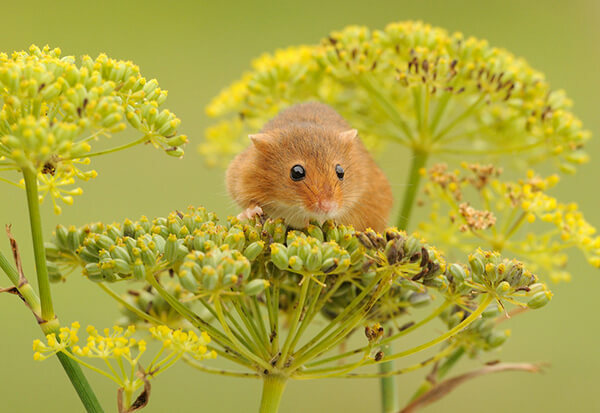 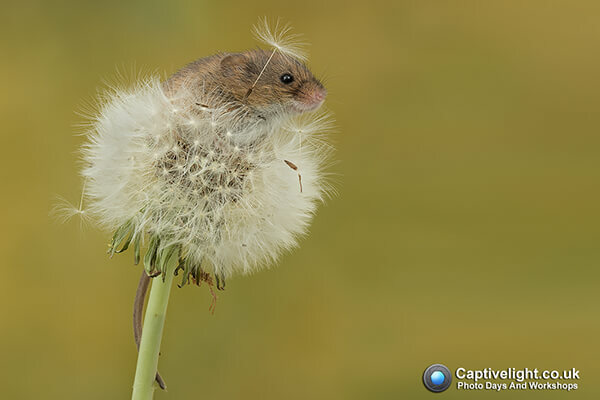 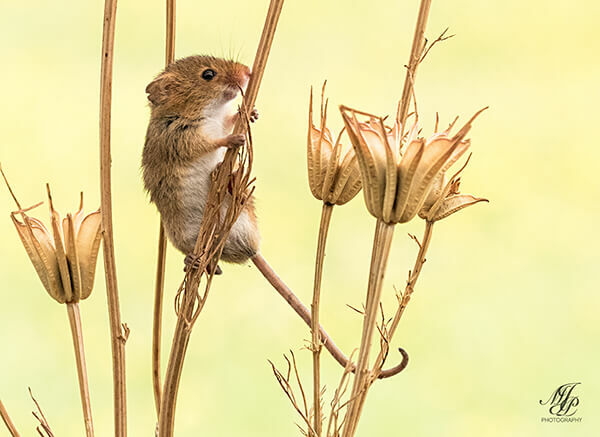 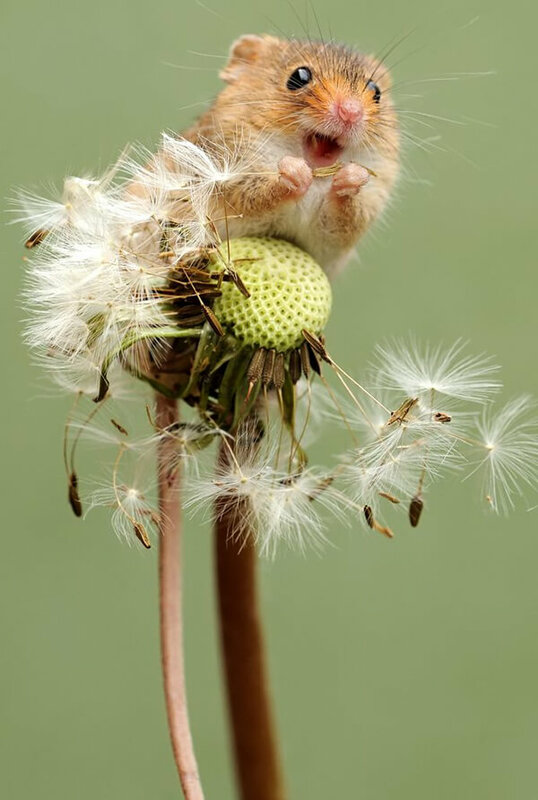 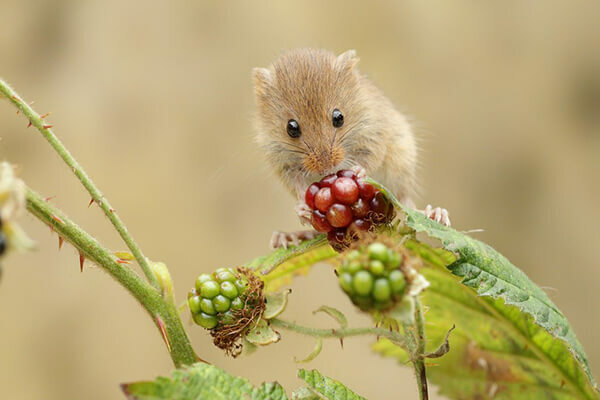 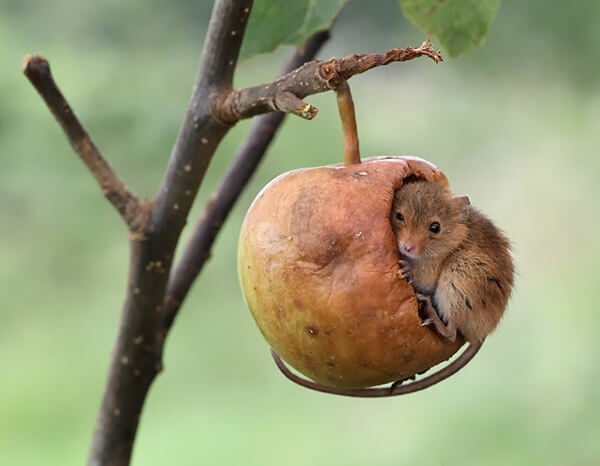 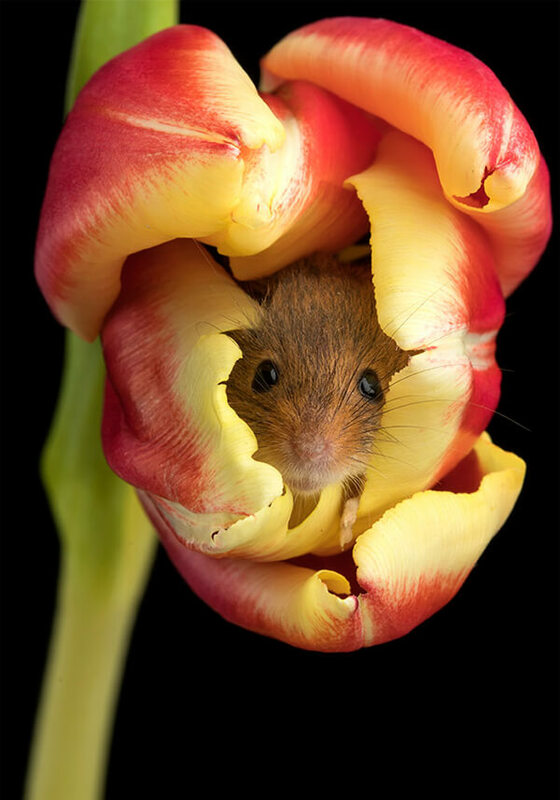 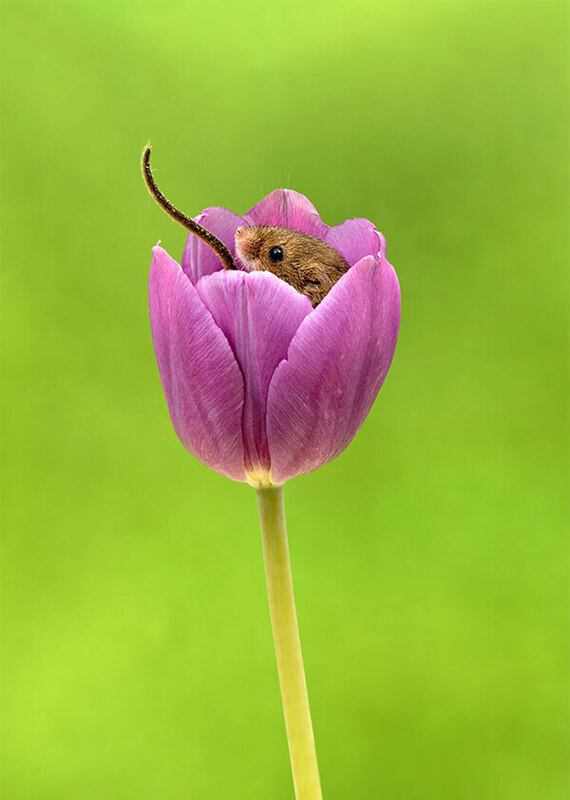 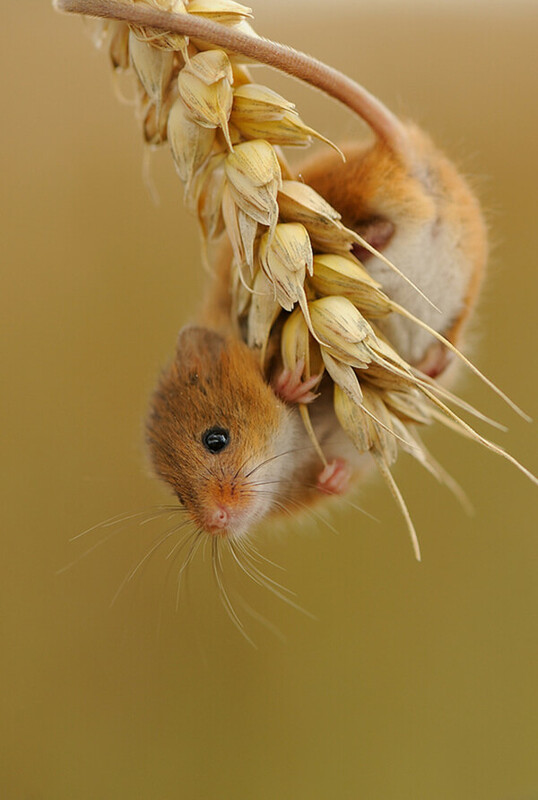 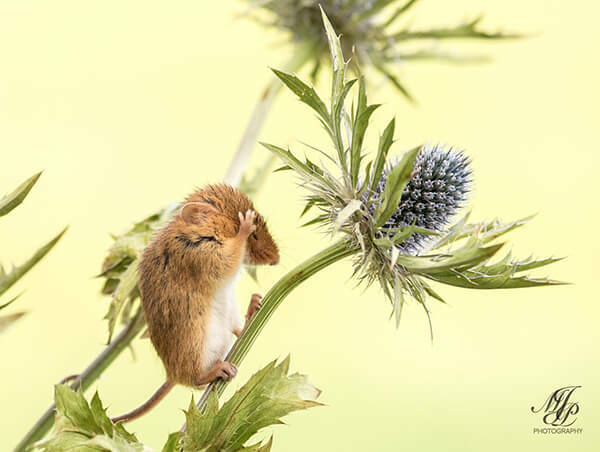 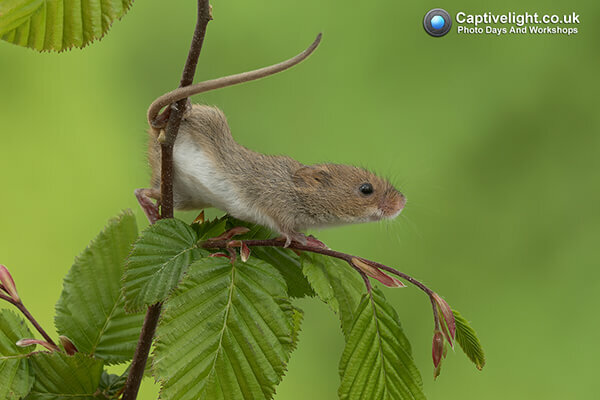 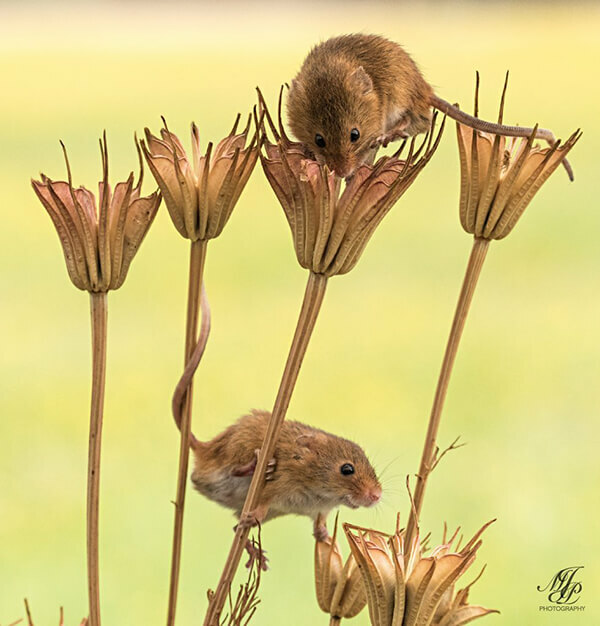 Below are some adorable photographs show harvest mice playing and climbing. 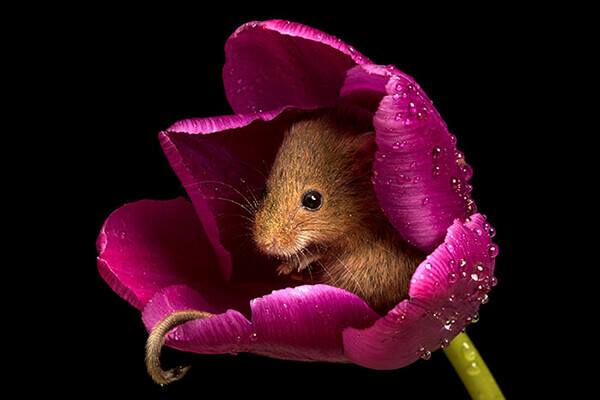 Take a look and hope you like them.